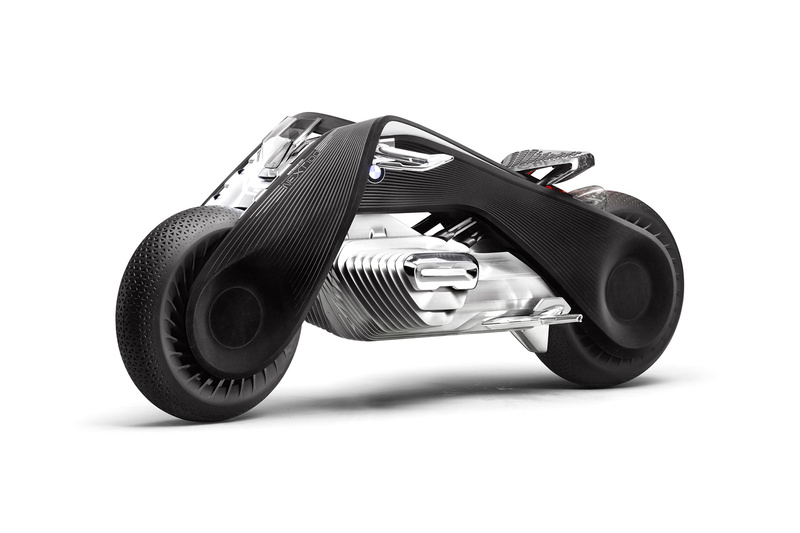 BMW imagines a future where mobility is connected and adaptable to the environment. 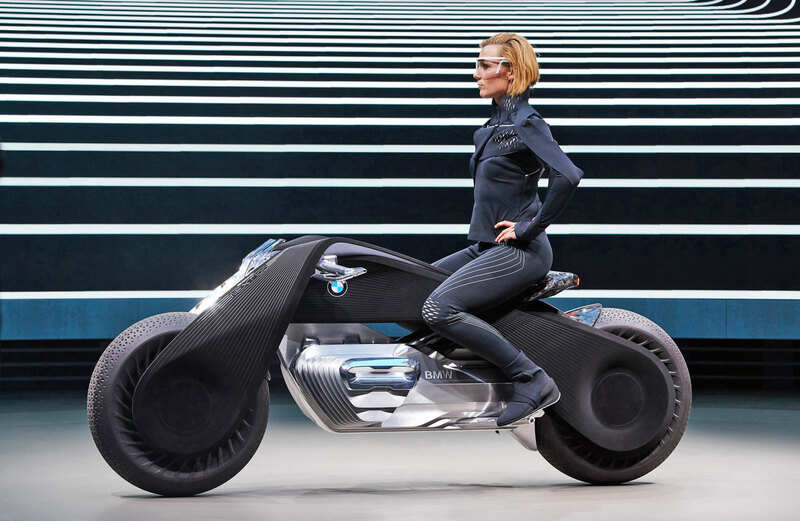 As part of BMW’s year-long centennial celebration, the company revealed Motorrad, the motorcycle of the future that relies on self-balancing technology and doesn’t require any protective gear. Motorrad embodies BMW’s commitment for providing the ultimate riding experience, “Motorcycling is about escaping from the everyday: the moment you straddle your bike, you are absolutely free. Your bike is The Great Escape.” Explained, Edgar Heinrich, Head of Design at BMW Motorrad. The bike’s black triangular frame and white lines take inspiration from BMW’s very first motorcycle, the R32, made in 1923. 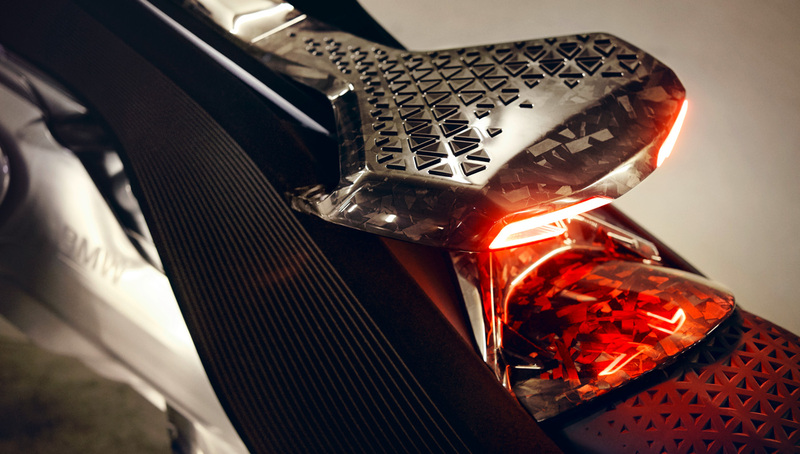 However, the Motorrad emits bearings and joints to make the entire frame appear as a single, integrated whole. 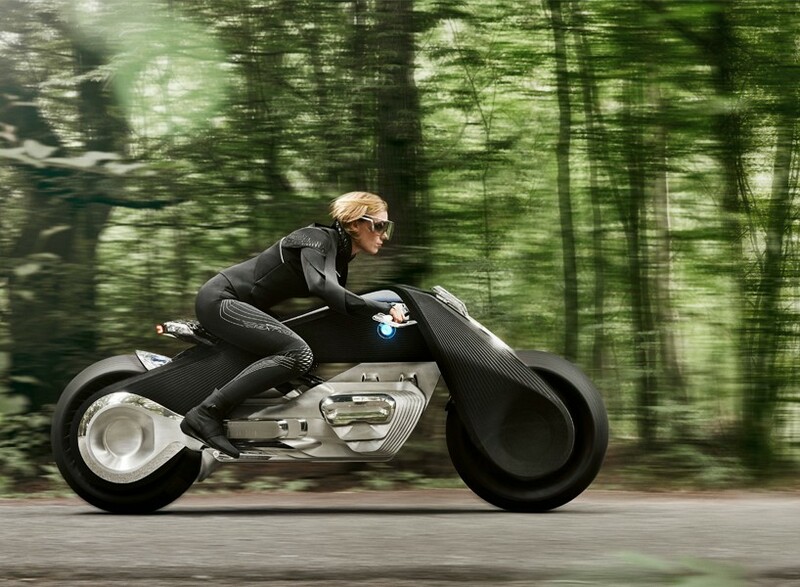 The self-balancing bike offers active assistance systems to enhance stability and safety by automatically balancing the motorcycle, whether on or off the road. Additionally, riders with little experience can benefit from assistance systems that don’t allow the bike to tip over. By having this advanced technology, BMW doesn’t see a need for a helmet or other protective gear and sees more of a focus on technology that prevents accidents from happening rather than on gear the protects the driving by covering him/her. The user would have a smart visor that helps information exchanges between the rider and the bike take place. This visor also provides wind protection while riding and projects relevant data upon request or to alert the driver when action is needed. Even the rider’s gear has received an upgrade – the black-and-white, lightweight suit can warm or cool the user depending on weather, however it is meant to provide more of a fashion statement than protection like present-day suits do. Despite it being technologically advanced, BMW wanted to make sure the bike doesn’t take away from the unique experience that comes with riding, “A key point with the BMW Motorrad VISION NEXT 100 was to make sure the constant digital presence doesn’t undermine the analogue riding experience. The display and operating concept works so subtly that the rider can enjoy an entirely natural biking experience, trusting the bike completely and enjoying complete freedom and ease. As interface designers, our job is to deliver the right amount of the right information at the best possible time and place,” explains Holger Hampf, Head of User Experience at the BMW Group.